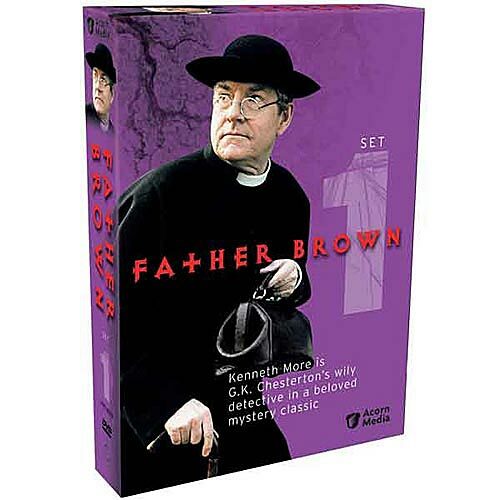 Eyes twinkling behind his spectacles, Kenneth More is G.K. Chesterton's wily detective in this classic British series. Don't be fooled by the good father's absentminded air and occasional tipple; he has a keen understanding of the human condition, and he'll search your soul for motives. Set in the 1920s, seen on Mystery! in the 1980s, this beloved British series stars Dennis Burgess as thief-turned-private-investigator Hercule Flambeau. 7 episodes; approx. 364 min. on 2 DVDs. Colonel Bohun fancies himself a feudal lord, regularly exercising his right to bed his subjects' wives. 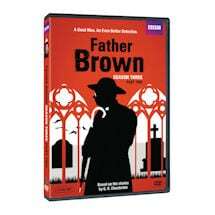 But the brutal manner of his murder seems to eliminate all likely suspects -- until Father Brown looks to the heavens. When Colonel Druce decides to change his will, a lot of people begin to worry and someone decides to kill him. 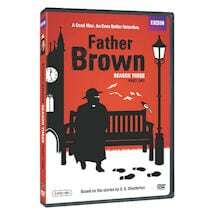 A guest in the house at the time, Father Brown gets an assist from the family dog in identifying the murderer. When an eminent archaeologist's life is threatened, is it a murder plot or the past catching up? Father Brown uses his knowledge of mediaeval history to unravel the mystery. Pauline Stacey, co-founder of a secretarial agency one floor above Flambeau's offices, suffers "spiritual sunstroke" under the influence of Kalon, the leader of a pagan cult -- arousing the suspicions of Father Brown. A renowned philanthropist is murdered but, curiously, not with any of the three weapons at hand. 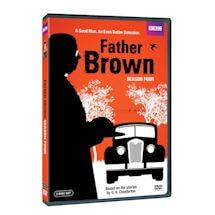 When his daughter's fiance confesses to the crime, Father Brown must divine whether this is the truth. After making big news by exposing German spies in London, Sir Humphrey Gwynne winds up shot in his garden. 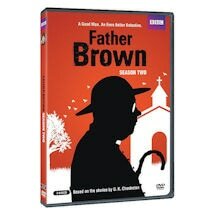 Although evidence points to a writer and Irish patriot with apparent ties to Germany, Father Brown aims to exonerate him. 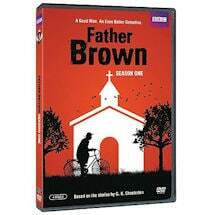 The strange deaths of a father and his sons bring Father Brown face to face with a spiritual as well as criminal foe: a Satanist who has sown the seeds of fear in the troubled family.